Many of you know my story. In 2012 I decided to leave London and office-life for good. I had a one-way ticket to Bali, with no plan, no job and 900€ in my pocket. I ended up living there for a year, and then longer at other times. Now it’s my second home. My first home is The World. I travel most of the year. Every now and then I come “home” to Marbella, Spain, if I have a retreat to cater for (I’m a raw food chef) and then I’m off again. My favourite destination is usually Asia, and this year I have grown very fond of India. Planning to go back there at the end of November again and stay for a while. 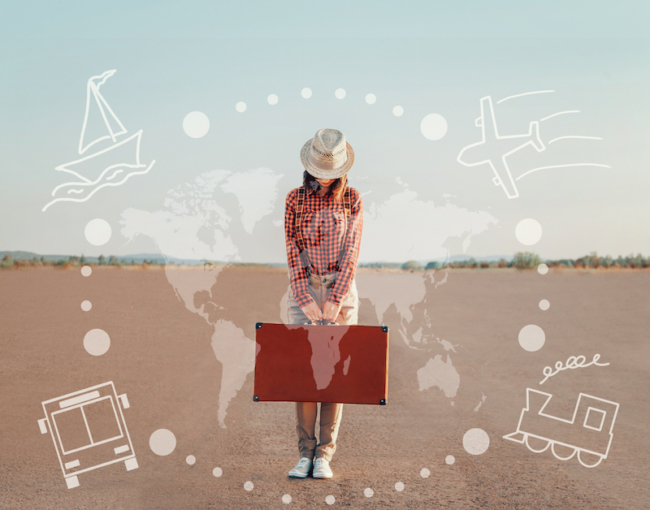 Here are a few curious things that this digital nomadic lifestyle comes with, it’s obviously not limited to Asian travel, that’s just where I spend my time, I’m sure many of you will resonate with them 🙂 Add your story in the comments below! The dreaded question: where do you live? I honestly never know how to answer that one. When I tell people that I permanently travel they don’t always understand and ask when I will be coming “home”…but thing it, the world IS my home! The second most dreaded question: what do you do for a living? 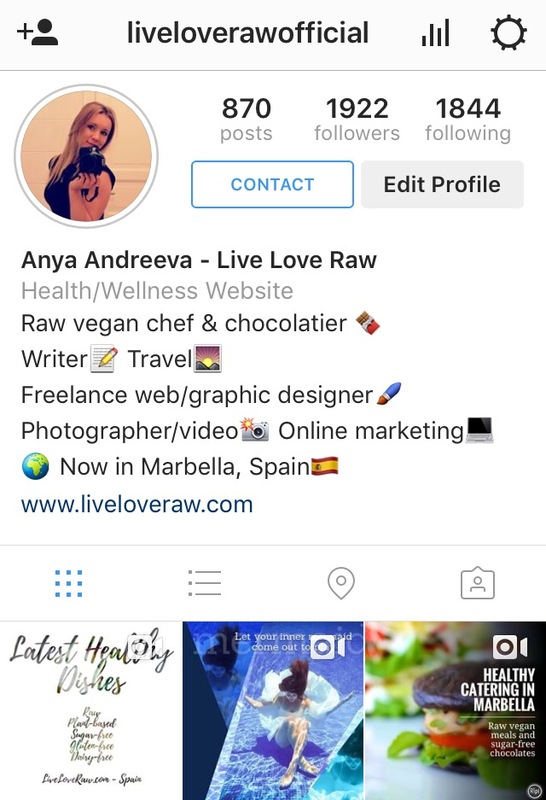 “Um…I travel… I’m a writer, I do web and graphic design, and also photography and videography…oh and I’m a raw food chef when I’m in Spain”. That’s something along the lines of what I tell people and most people respond with “wow you do a lot of things!”…well yes, gotta adapt to your environment and if you’re constantly travelling, I think a lot of us do many kinds of jobs. 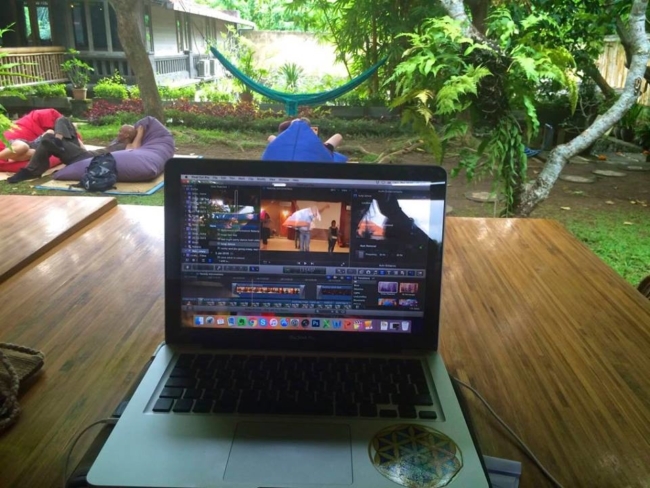 Why would you want to work at a desk when you can do it whilst sitting on a bean bag, whist drinking from a young coconut?? Nepalese vegetarian food. 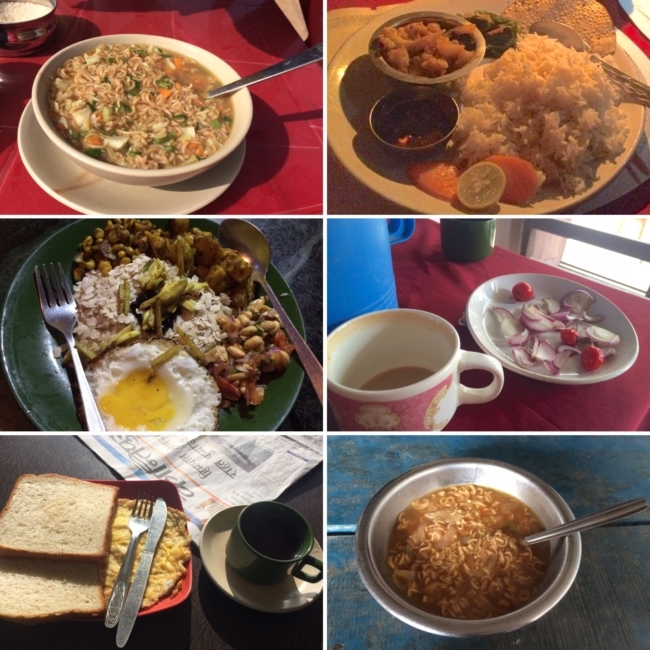 This is what I ate when I went trekking through the Himalayas. Raw food? Haha don’t make me laugh. Many of us are becoming more health conscious nowadays, which thankfully has inspired restaurants and shops worldwide to cater for vegetarians, gluten intolerance etc. but it’s still far from perfect. Being a raw vegan myself, it is not that easy in certain places so occasionally I am flexible…though on my last trip to India and Nepal I put on 10kg…ok fine 15kg… in 2 months from eating cooked food, dairy and sugar, which I haven’t eaten in 5 years! Had a similar problem in Peru but thankfully I was only there for 2 weeks. This is why I’ve dedicated a whole section of my blog to “where to find raw in…” to help people find healthy food no matter where. Whereas at home you may not particularly care about doing the laundry, it’s just something you do out of habit, when you travel and have to give your silk Victorias Secret underwear to the lady down the street, you wish you had access to your own washing machine! Or in fact, a lot of us will opt for washing many things in the sink. I once didn’t have time to go to a local laundry in Nepal and had to give my stuff to the hotel…ended up paying 20€ for about 5/6 items! When I moved to Bali, half of my designer clothes got ruined in the laundry within the first few weeks and I had to start buying clothes that I didn’t care so much about. It does help you realise that material things don’t matter as much as we often think in the West…and it also helps you appreciate the things you have and take care of them. When I lived in Bali, due to the high humidity, my leather watch strap grew mould…It’s been 4 years now that I don’t wear a watch and I certainly don’t miss it. Despite that, I still arrive everywhere on time. I’ve often laugh when I catch myself speaking with a funny accent and skipping grammatical rules when speaking to expats…but we all do it because we get used to speaking simplified English when communicating with locals. “wts d plan nw” – What are you doing now? “I vl b u n y vl b me” – I will be you and you will be me (this one took a good few minutes for me to understand and the 6 people who were in the car with me at the time couldn’t get it either haha). You swore to yourself that you won’t use that stupid app, but somehow found it was the easiest way to let your friends know what you’re up to without having to text half of your contacts with photos of your latest destination. 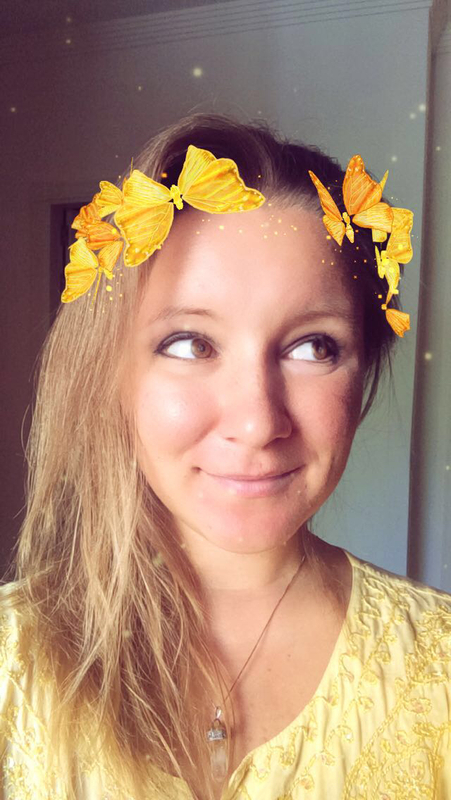 Plus there’s something ridiculously addictive about the face changing filters ???? If you have storage in your “base” country, then you’re lucky. However, you probably still gave away a whole bunch of stuff you don’t need and it’s very psychologically freeing. You begin to realise how much stuff we actually accumulate for no reason, I even wrote a separate post about it here. You can feel at home anywhere, and that is pretty great. 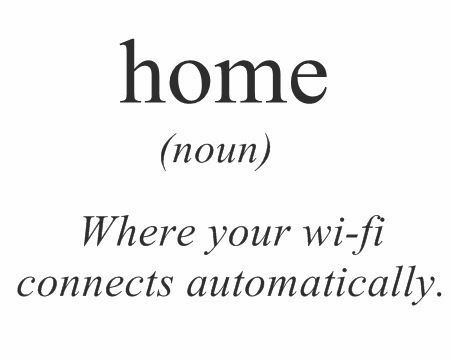 Sure, you feel most at home where there is wi-fi haha – in Bali I quite literally lived from cafe to cafe. And so your Facebook says you’re in Spain, your Instagram says you’re in Bali, and in real life you’re actually in Paris, and your friends don’t know how to find you. By travelling you will surely meet lots of people and you always end up sharing music and movies. But they’re all in folders called “music from Sarah/James/Alice” and you never actually have time to sort it all out so you just dump into playlists with the same name. And you still have no clue who “Alice” is, because that was taken from another friend! For the same reason, you will probably also have a huge range of music genres on your phone, from rock to guided angel meditations. Shuffling your entire library can certainly be entertaining at times. Christmas is the best time to be travelling around Asia, when it’s freezing cold anywhere in the Northern Hemisphere. 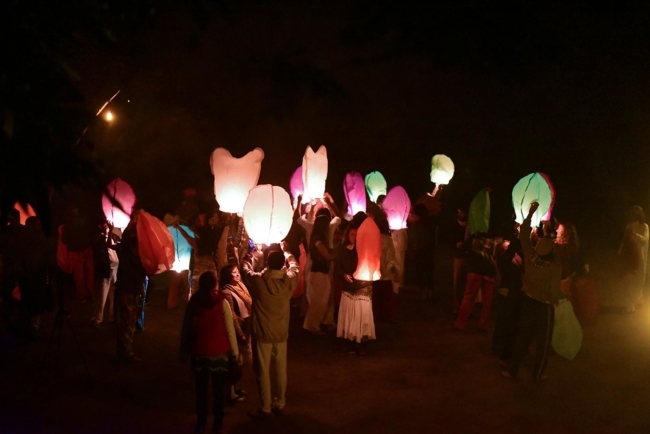 Chances are, if you’re like me, you spent your last New Years Eve doing a cacao ceremony at a dance festival, followed by sending off colourful lanterns into the night sky, followed by a gong meditation that lasted literally the whole night. No? Then perhaps you were on a plane, because holidays just don’t seem to matter that much anymore. It used to be simple before. You would congratulate people at Christmas and Easter. Now you have to text half your contacts for Holi and Diwali (India). Then you fast and stay silent during Nyepi (Balinese day of darkness) once a year, followed by setting up “penjors” for Galungan and Kuningan. Your best friend still wishes you Happy 4th of July (USA) every year and you even try to make it home for Maslenitsa (Russian pancake day) because your grandma will get upset if you don’t try her crepes – at least she makes them dairy and sugar free now – yei for grandmas going healthy!. Are you tough enough to survive crazy heat, humidity or cold? 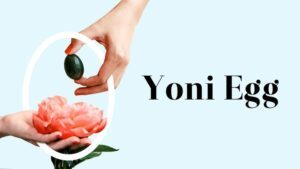 How do you deal with the heart break that may come from long distance relationships that are often created with full-time travelling? How do you react to your family when you see them again after a while? Have you seen or experienced something during your trips that has caused you to re-think your entire existence? 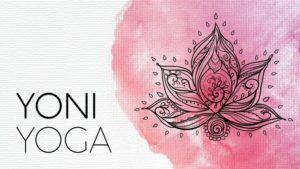 Have you learnt new techniques and skills? 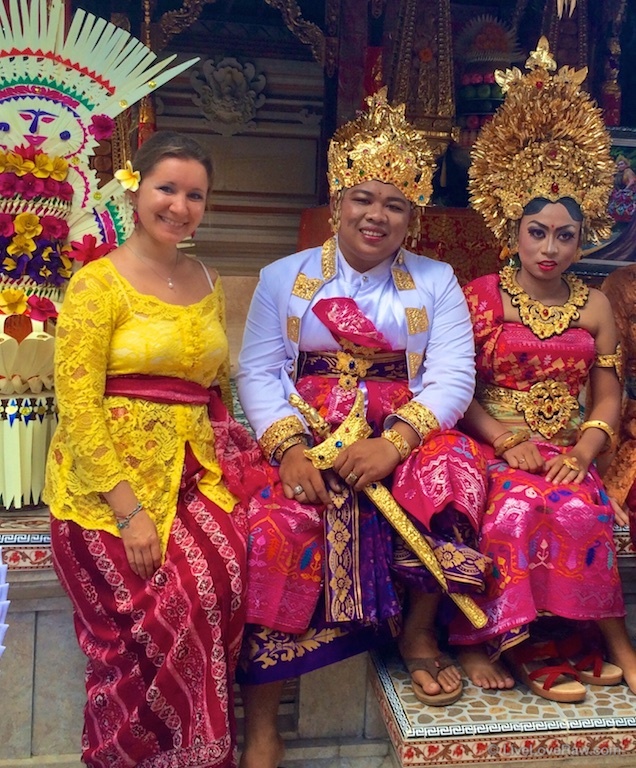 Have you spent time with the locals, getting to know their culture and ancient traditions? Have you experienced all kinds of extreme living conditions and pushed yourself to the limit? I can’t tell you how much I have learnt from travelling the world. You could never get that from reading a book. After a funny conversation with my mum, I decided to count how many beds I’ve slept on this year. I believe the total came to 37 different beds. 37 flipping beds. Some of these weren’t even beds. Some of them were backseats of 3 different cars, a tent and a super thin mattress on the floor in Mumbai. I love travelling. I live to travel and wouldn’t change my lifestyle for anything. I feel at home whenever I go and always feel comfortable, even in the middle of the mountains with no sink or flushing toilet. But still, the best feeling in the whole world is coming home, taking a shower and crawling into my wonderful queen sized bed with meticulously ironed satin bedsheets. Call me a princess, I don’t care, but nothing beats that. Well maybe cuddling with a cute guy on top of those bedsheets haha ???? I think even if nothing above resonates with you, we’ll all agree that we could never imagine ourselves going back to a “normal” lifestyle of sitting at an office, working all day. Perhaps one day we will settle down, but our lives will never quite be like before. You can keep up to date with me on my social media channels, or have a look at my calendar of where I will be next. Most of my digital services are available worldwide, such as web design, but if you see that I’m in your area, ask me if I’m free for a photo/videoshoot in person! 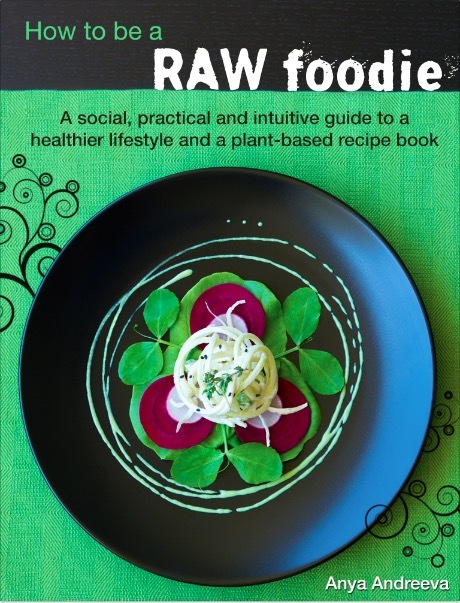 Of course, the raw food stuff is mostly based in Marbella, but I have also been asked to teach workshops in other parts of the world. If you have a good kitchen with a blender, food processor and other things I may need, then I’d love to come teach a class or do some catering for you, just get in touch. For more travel articles, click here. Oh yes, I definitely resonate with many of these!